Majestic waterfront estate with French Country flair! 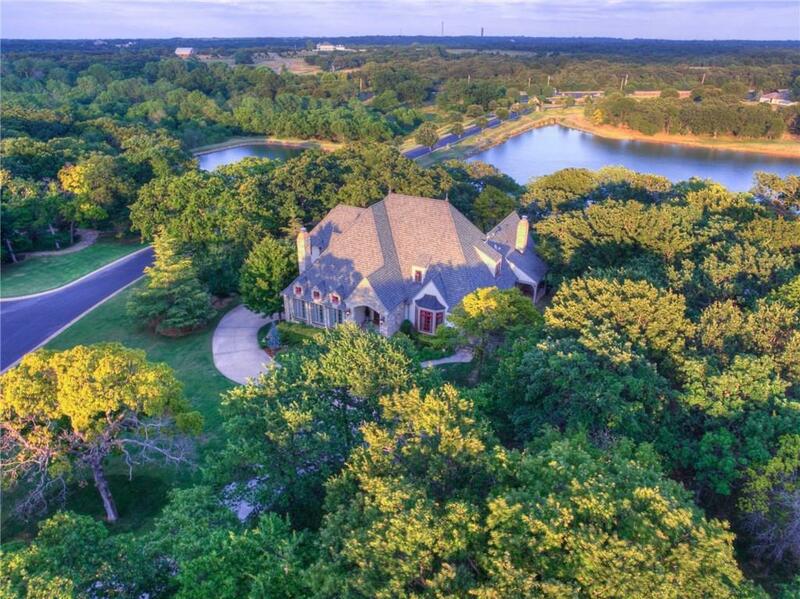 This gorgeous home is situated on 2.82 lakefront acres in the gated community of Eagles Cove. You will be amazed by the absolutely jaw-dropping views of the lake, ponds, and copious amounts of natural light afforded by the wood cased Pella windows in every room! The first level has beautiful wood floors, stunning fixtures, custom window treatments, 2 stately fireplaces, a wet bar, butlerâs pantry, vaulted ceiling with beautiful wood beams in family room, open and spacious kitchen with everything you need, a nicely sized study with handsome coffered ceiling & large closet with built in desk, and an impressive master suite. The second level has 3 bedrooms, each with walk in closets, and 2 baths. The walkout basement has spacious game / media room, enormous safe room / storage closet, full bathroom, & extensive patio. Home has zoned geothermal heat and air. EDMOND CITY LIMITS, EDMOND SCHOOLS, EDMOND UTILITIES.